Intelligize, a LexisNexis company, is the leading provider of best-in-class content, exclusive news collections, regulatory insights, and powerful analytics tools for compliance and transactional professionals. Intelligize was looking for a solution that would improve their salespeople's ability to probe for customer needs, help them be better prepared before calls and meetings, and make up-to-date materials easy to find. 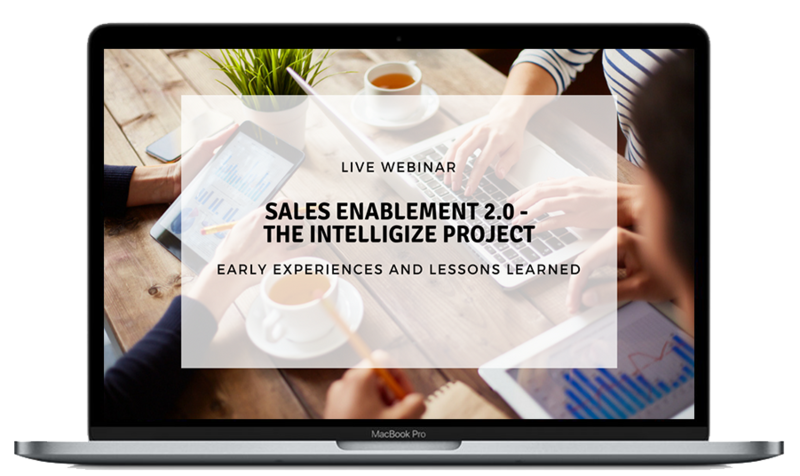 Hear how Intelligize unleashed the power of Sales Enablement 2.0!